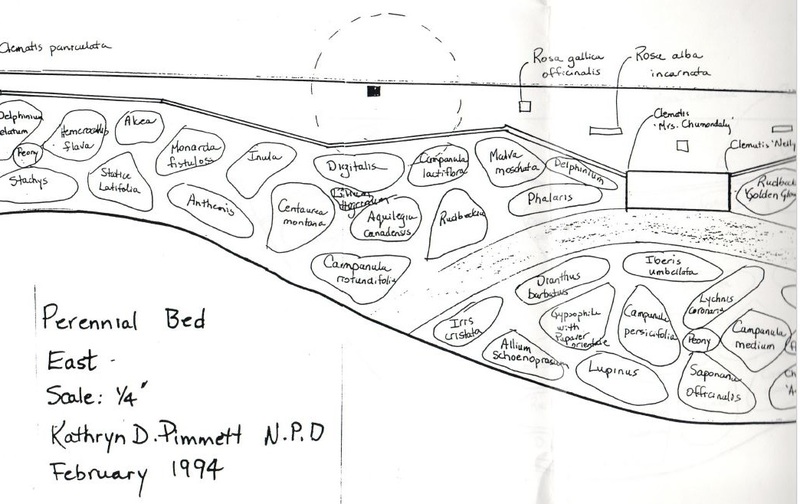 Original Sketch of one of the Fleming Park Perennial Beds, 1994. 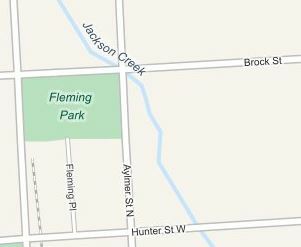 Fleming Park is a city-owned tract of land encompassing over an acre just to the north-west of the downtown core. It’s a beautiful site overflowing with flowers, bulbs & trees and it contains a memorial plaque dedicated to Sir Sanford Fleming which was installed in 1973. It can be found at the corner of Brock Street and Alymer Street in Peterborough, Ontario. It hasn’t always looked so colourful. Prior to PHS involvement, Fleming Park was a grassy municipal park with trees, a few benches, some traditional small flower beds and a well-worn footpath. The Fleming Park project began in 1991, when members of the PHS began to look for a civic garden project. At that time, the project committee members assumed responsibility for the maintenance of the existing flower beds. In 1993, plans were developed to redesign the park according to a heritage theme which would complement nearby Hutchinson House (built in 1837) as well as Sir Sandford Fleming after whom the park was named. Horticulturalist and PHS member Kathy Pimmett was commissioned to design the garden using only plants dating from before 1900. However, these type of plants required a lot of maintenance as they were mostly flowers and herbs with some shrubs added. In 2004, when the flood that raged over most of downtown Peterborough ravaged the park, the surviving plants were given to members who were interested. In 2005 it was replanted with many of the hardy perennials that are there now. 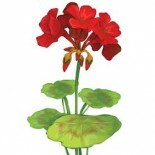 In the years following, some difficult plants were removed and more varieties that were less demanding were planted. Help was not very plentiful during those years and the inside beds had to be left on their own and thus the weeds took over. There were some really severe droughts after the flood. The city at the time helped with watering. The “after flood” years were tough years and park volunteers were encouraged to return the responsibility back to the city. They chose not to do so and persevered — we’re so thankful that they made this choice! The current and recent committees have had the benefit of more volunteers and have been very committed. They’ve maintained both the inside and outside beds and the park looks great! 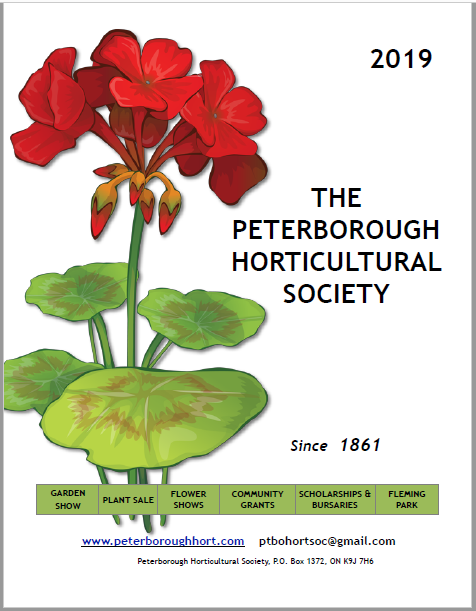 It isn’t only the members of the Peterborough Horticultural Society that have had a hand in the maintenance of these gardens. In past years, the students and teachers of PCVS (a downtown high school that has since been relocated) and existing high school TASSS (Thomas A. Stewart) would assist with the spring cleanup which was very welcome and appreciated. Anne English (Chair), Susan Leask, Mary-Jane Pilgrim and Pat Lounsbury. The committee meets each Wednesday morning during the spring, summer and fall for 2 hours to work on this garden. In the spring near Earth Day and in the fall, there are scheduled “cleanups” on a Saturday allowing for more volunteers to assist.